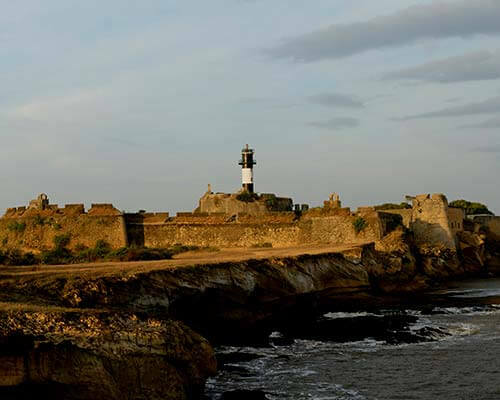 The ‘Manchester of the East’, Ahmedabad has long been associated with textiles and fabrics in India. 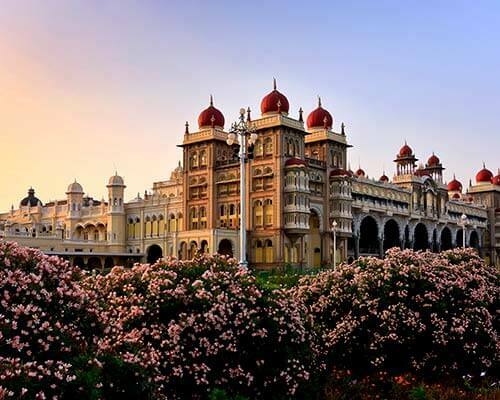 In fact the first textile mill in India was started in Ahmedabad back in 1861. This long history continues today and there are several markets for shopping in Ahmedabad that sell the best fabrics and clothing. 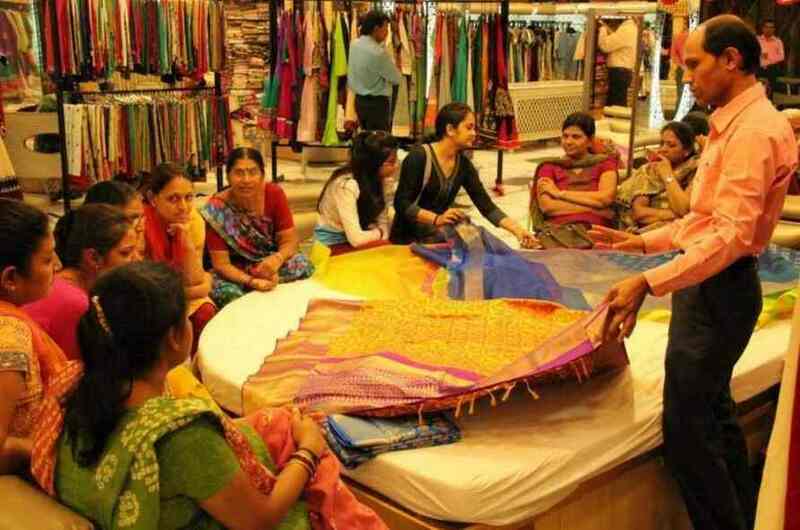 However, shopping is not just limited to clothes in Ahmedabad! 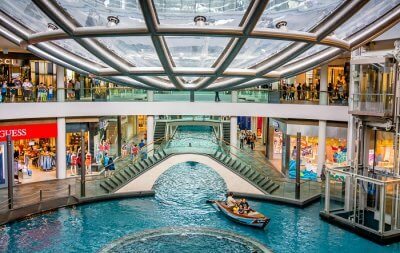 We have curated an Ahmedabad shopping guide for you to help you pick the best arenas for shopping here. 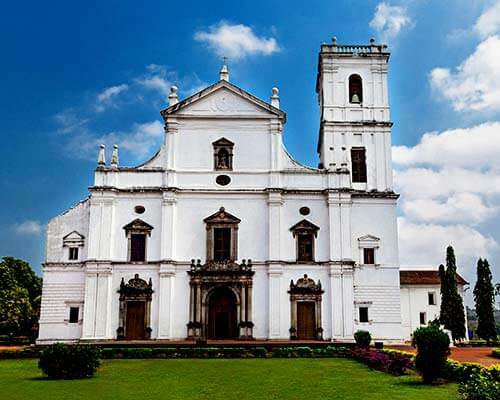 Know all about the best places in Ahmedabad where you can go on a shopping spree! Rani No Hajiro Market is a unique market located near the historic tombs of Ahmed Shah’s Queens. 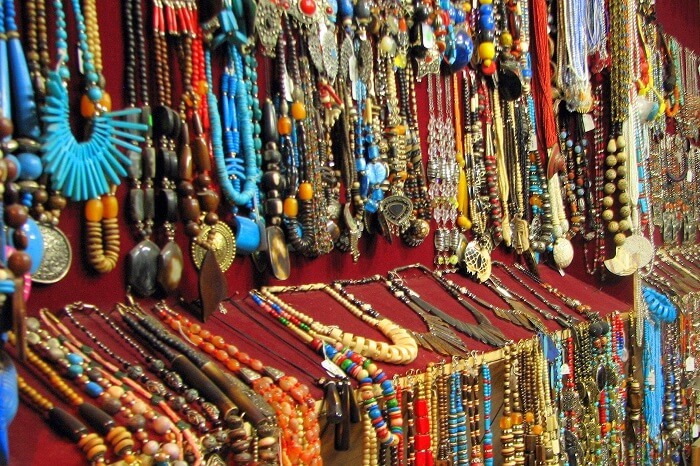 Today, the place hosts one of the best Ahmedabad cloth markets with costume jewellery and apparels fit for a queen! The best handloom fabrics like Ikat, Mashrush, and Ajrakh can be found here. 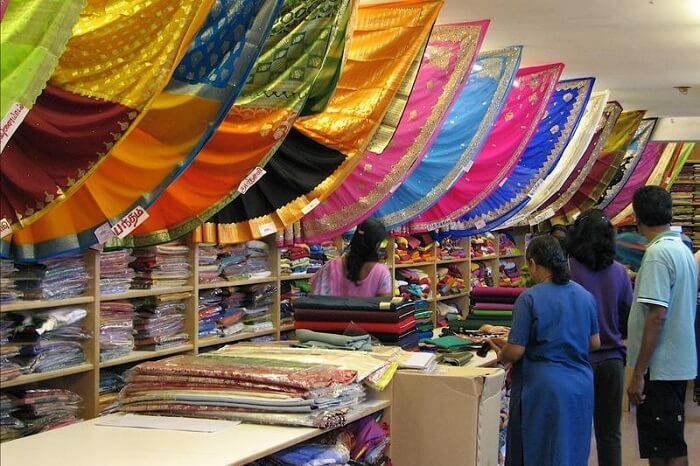 The best place for Bandhani and cotton fabric shopping in Ahmedabad is at Bandhej. 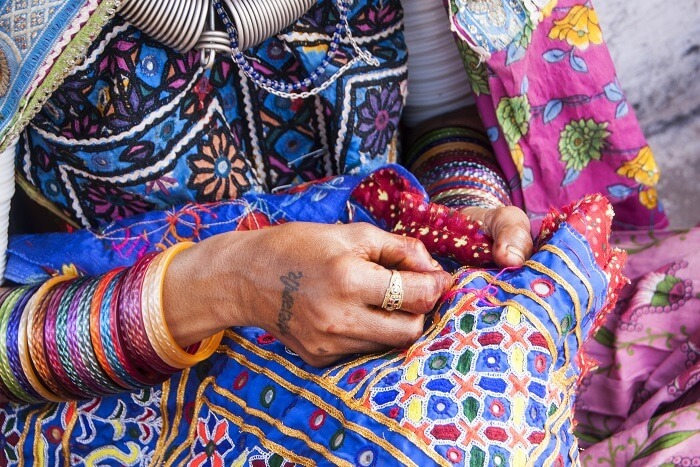 Started in 1985 by Archana Shah, Bandhej has become synonymous with sustainable clothing. 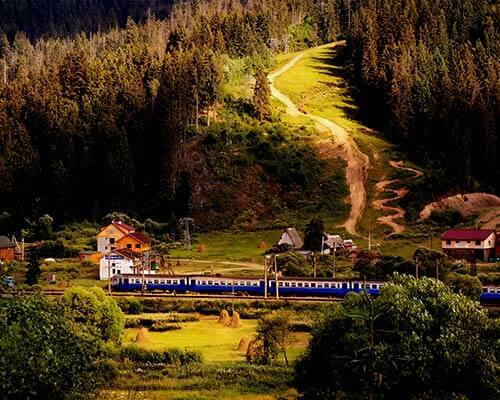 Its designs are elegant and change with the trends and seasons. 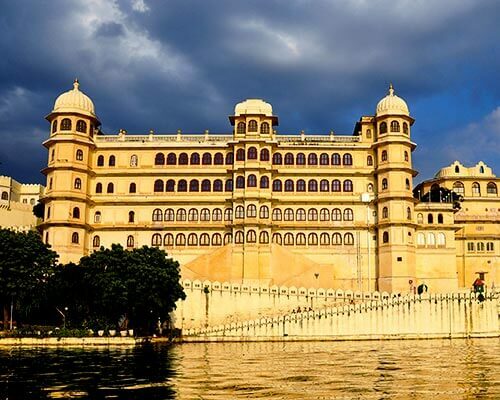 Best picks at Bandhej would include kurtas, dupattas and tunic skirts. 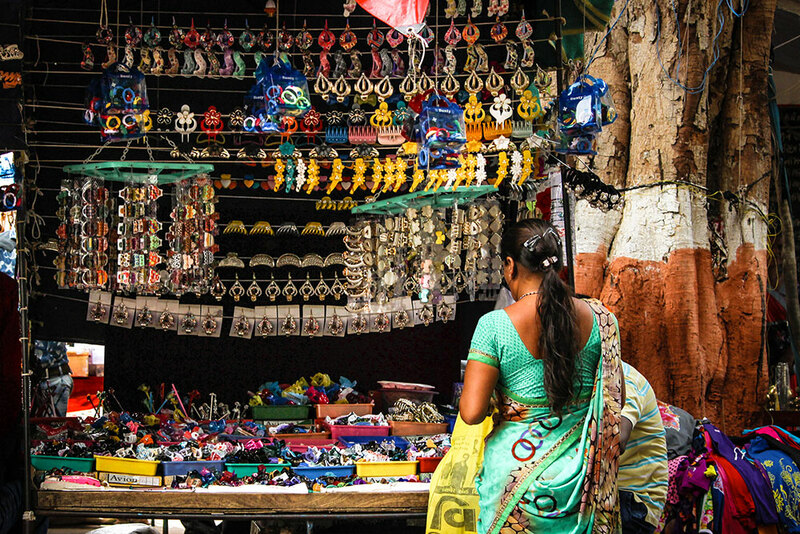 Witness the ruthless bargaining skills of shoppers at the iconic Lal Darwaza market in Ahmedabad. 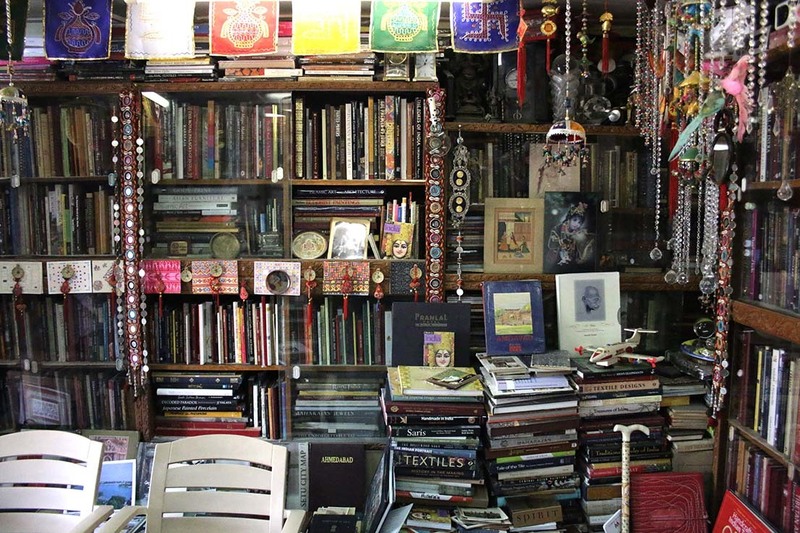 Synonymous with cheap shopping in Ahmedabad, Lal Darwaza stocks everything under the sun. 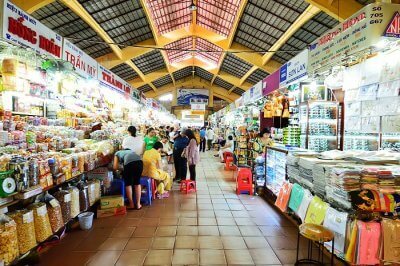 The market gets lively in the evenings with a multitude of food stalls. 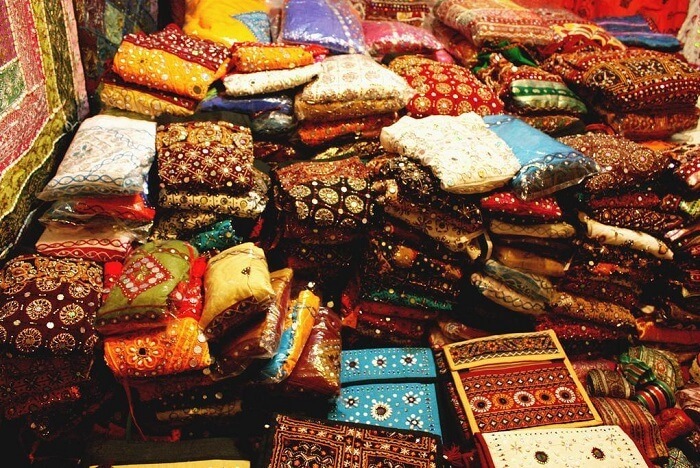 From traditional saree shops in Ahmedabad to new trendy dress stalls, Sindhi market has every shopping need covered. 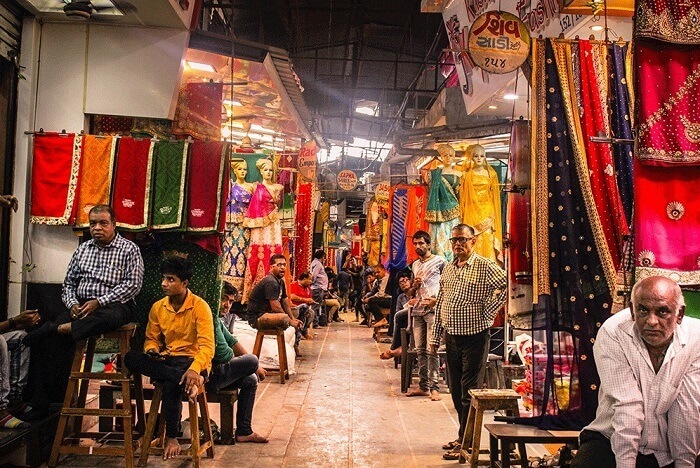 A relatively older Ahmedabad market for clothes, Sindhi market is frequented by local Amdavadis for all their clothing and shopping needs. 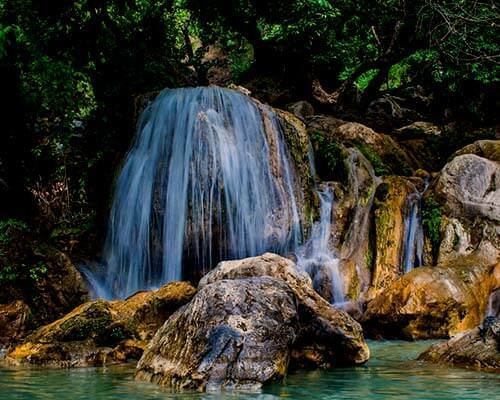 The best part – it’s sold at dirt cheap rates! Every woman searching for best Bandhani saree shops in Ahmedabad has found her way to the Mangalya Bandhani Sarees. 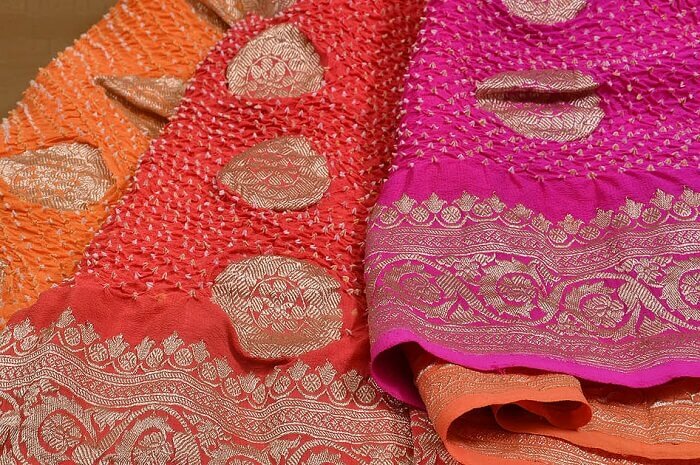 While many shops have tried to copy this iconic Ahmedabad shopping speciality, no one has been able to beat the quality and make of the original – Mangalya Bandhani Sarees! 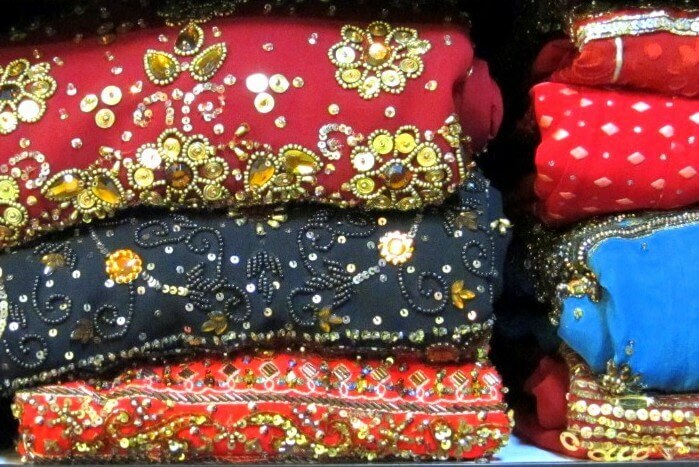 Come wedding season, families’ beeline to the Dhalgarwad Market which has the best options for sarees shopping in Ahmedabad. 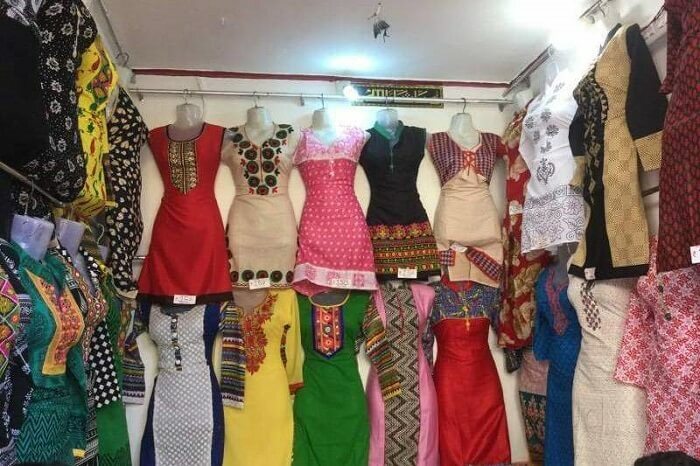 The shops sell traditional clothing like chaniya choli, kurta pyjama and even traditional sarees like Mangalgiri, South Cotton, and Jaipur Prints. Deepkala Silk Heritage is one of the premier shops in Ahmedabad and favoured by the top families of Ahmedabad. 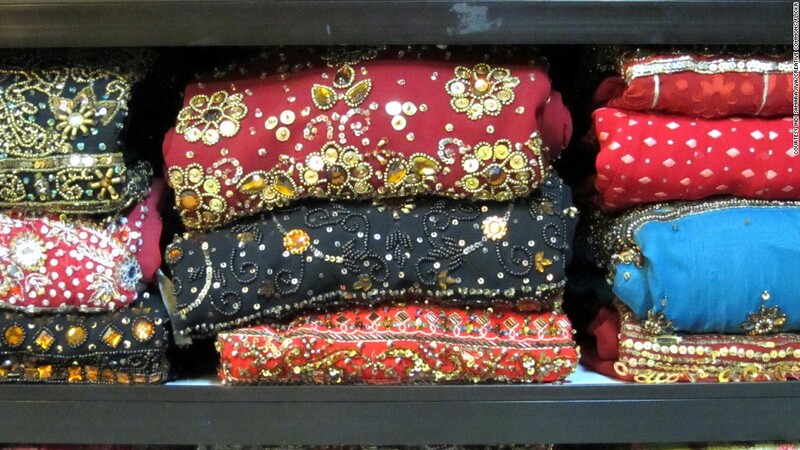 It has a rich variety of ghagras and sarees with a special Bridal collection and curated collections. They also have bespoke tailoring along with an online shopping portal. 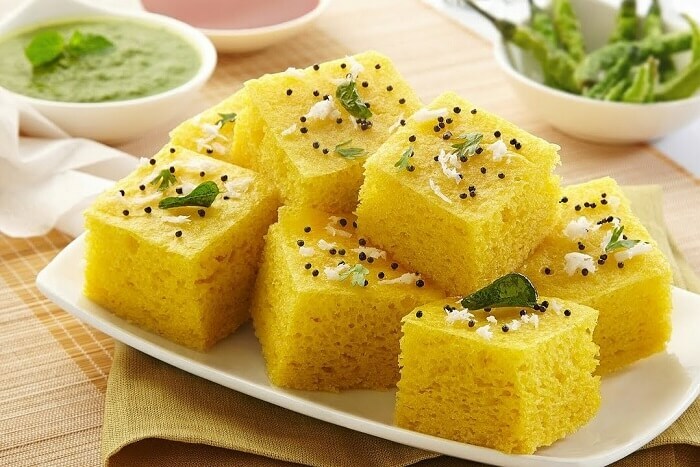 Street shopping in Ahmedabad is incomplete without tasting the popular farsaans or savoury snacks. 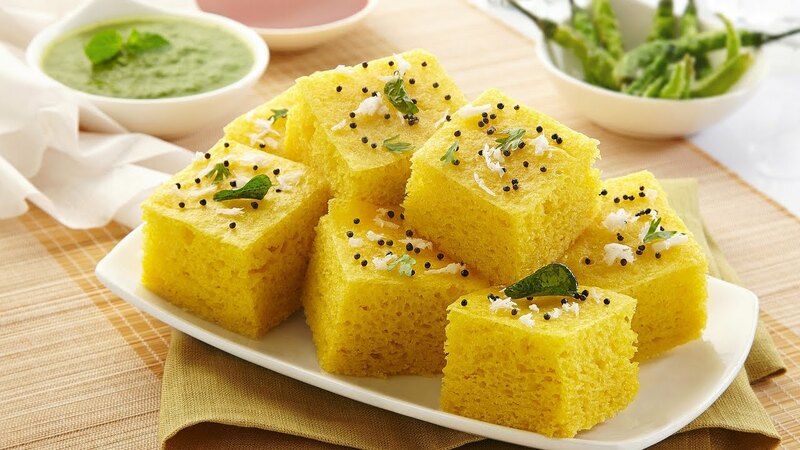 Raipur Gate is an old Ahmedabad market that offers a variety of snacks including dhokla, khandvi, fafda, jalebi! These snacks also double up as the best souvenirs for friends and family. Suggested Read: 15 Romantic Restaurants In Ahmedabad That’ll Fill Your Next Dinner Date With Love & Life! 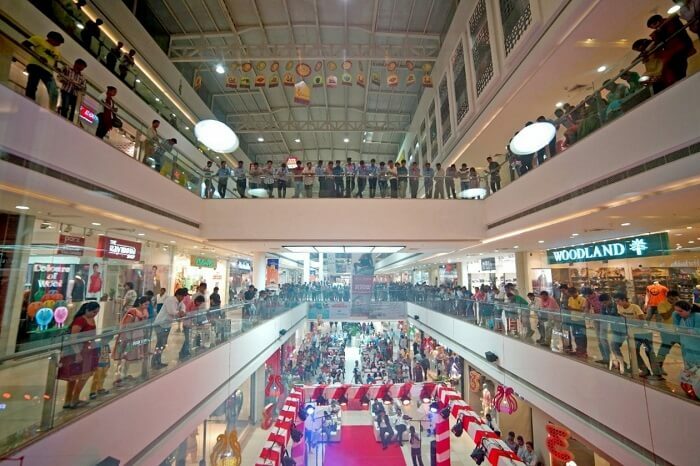 Asopalav is an exclusive destination for shopping in Ahmedabad. 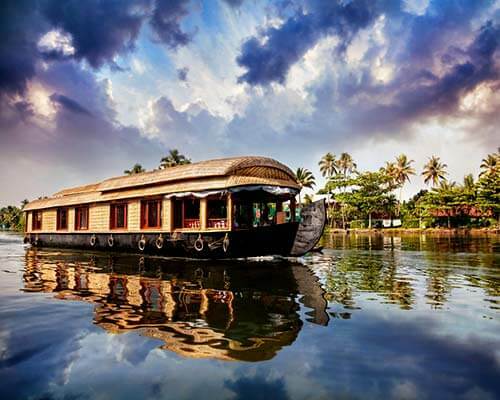 Started in 1975, this store sells designer sarees and dresses. 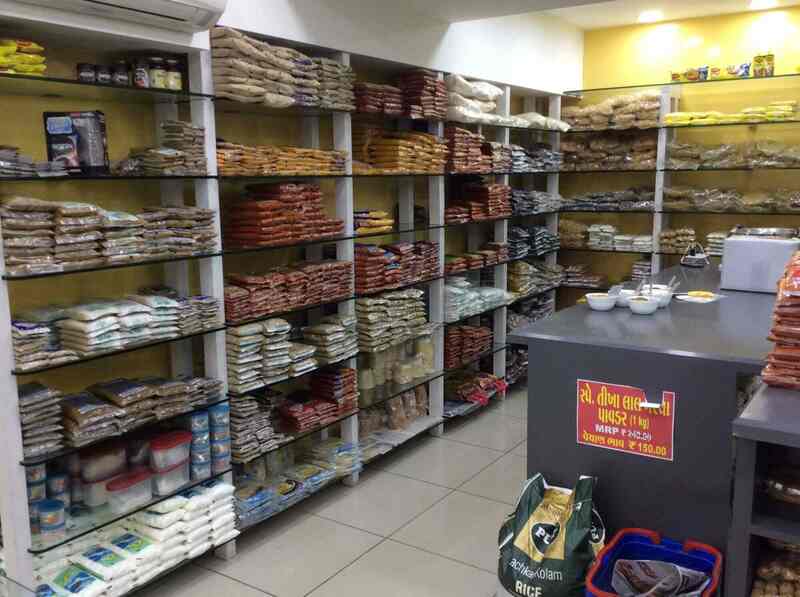 It’s such a hit that NRI families settled abroad visit Asopalav for all their shopping needs. 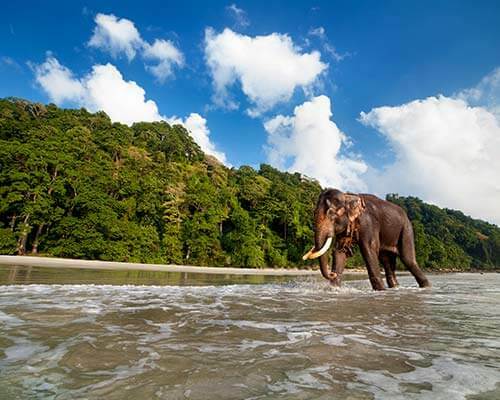 They also provide you with an exclusive shopper to assist with your shopping. 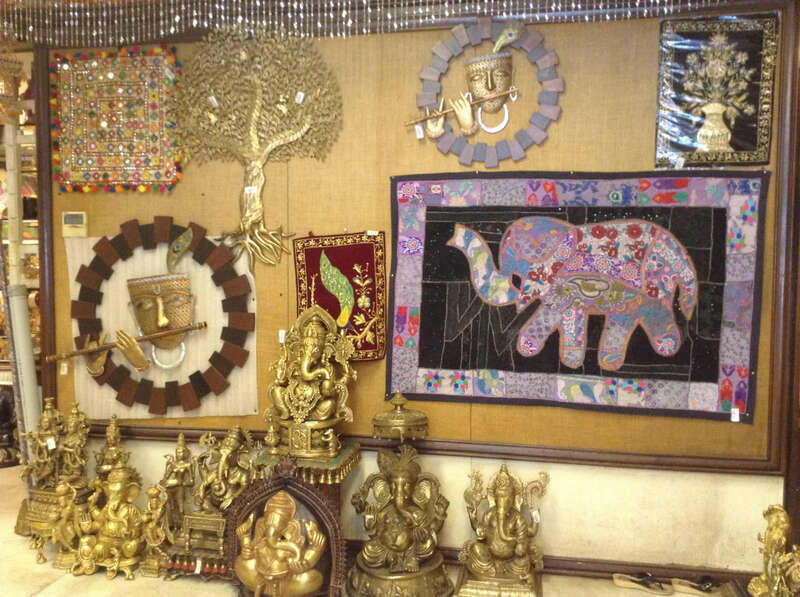 Kapasi is a pioneer among shops in Ahmedabad that sell handicrafts. 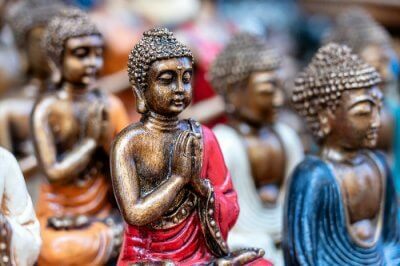 The huge showroom has a mind-boggling collection of paintings, idols, statues, home mandirs, brass, and marble collection. Ideal for shopping for friends or colleagues, Kapasi has everything handmade and purposeful. 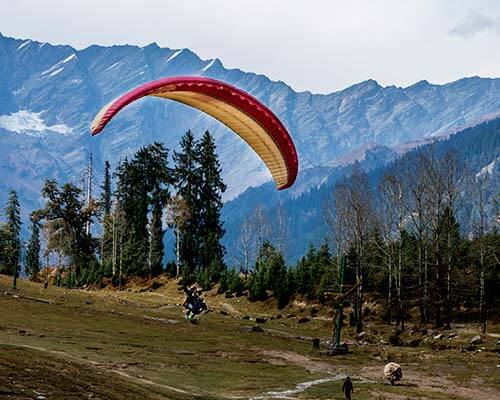 Suggested Read: 10 Hill Stations Near Ahmedabad To Escape For A Chilling Getaway This Summer! 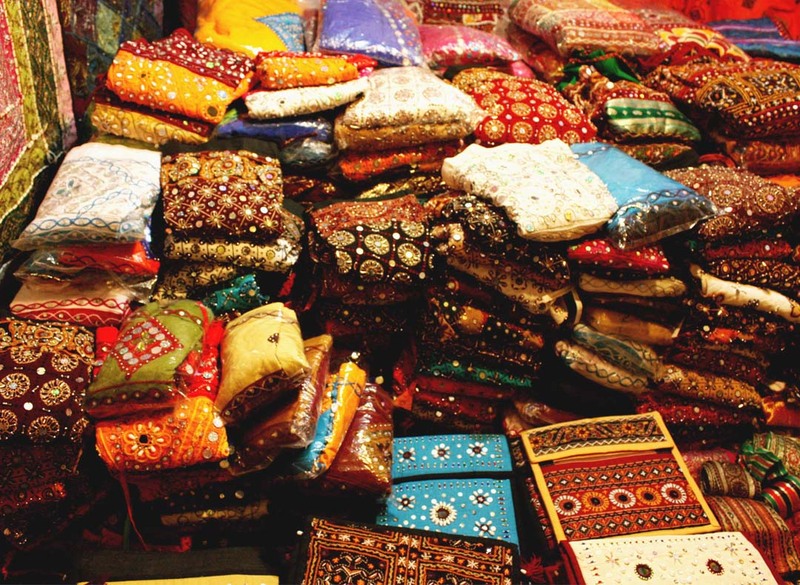 Manek Chowk is the Ahmedabad cloth market where the entire city comes to shop! 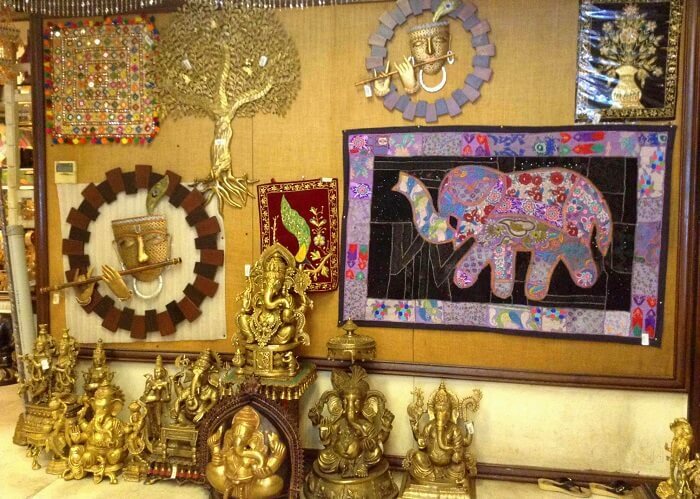 From exclusive designer showrooms to cheap shopping in Ahmedabad, this market has everything. 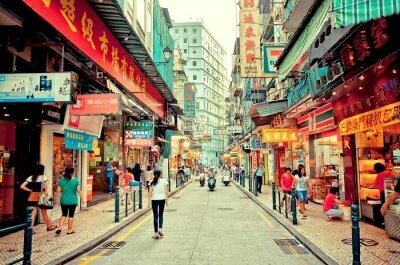 It has a traditional bazaar vibe and stalls selling food, vegetables, and clothes all beside each other. Not just the clothes crazy, even bookworms get to satisfy their craving for shopping in Ahmedabad. The street market for books under the Fernandes Bridge is open all through the week and sells both new and old books. Visitors can find some unique gems among the heaps of books. Everyone heads to the Law Garden market in the garbha season. 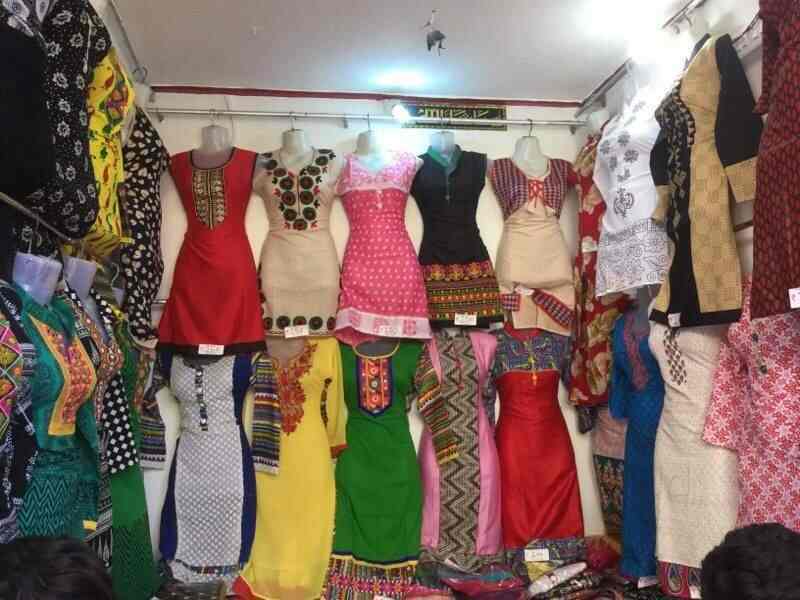 This Ahmedabad shopping market has the most colourful and latest costumes for all garbha parties along with accessories and costume jewellery to go with these dresses. The stalls also sell great appliqué work and embroidered bedsheets and dresses. 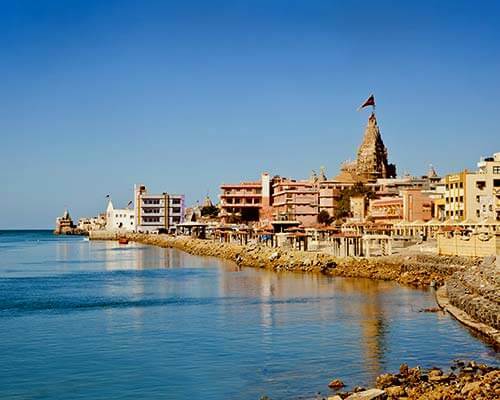 CG Road or Chimanlal Girdharlal Road has some of the best shopping places in Ahmedabad. It has the best malls like CG Square Mall, Super Mall, Shail’s Mall, and Iscon Arcade with international and national brand showrooms. 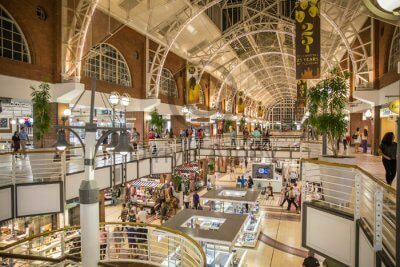 It’s surely the best place to combine an evening of shopping and entertainment! 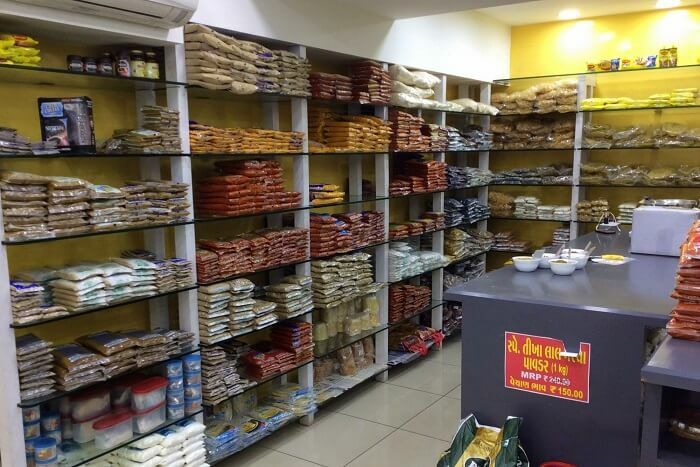 Generations of Gujaratis swear by the snacks at Falguni Gruh Udyog. 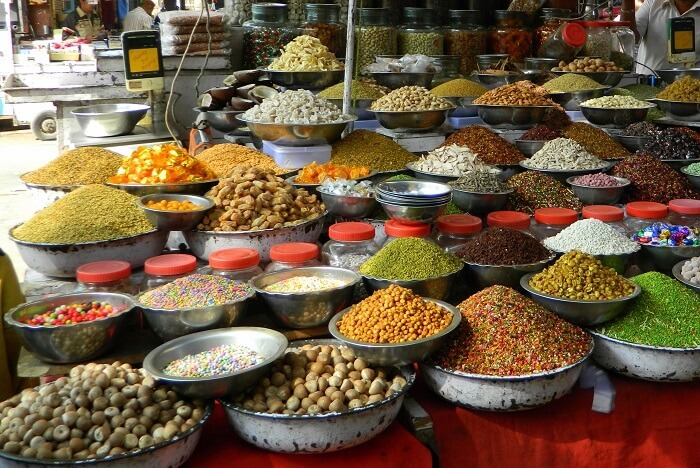 One of the best shopping places in Ahmedabad, a package of mixed snacks from this place is a must-buy before leaving Ahmedabad. Try their Dosa Khakra, Sukhwani, Bhakari, Sev, and Chivda. 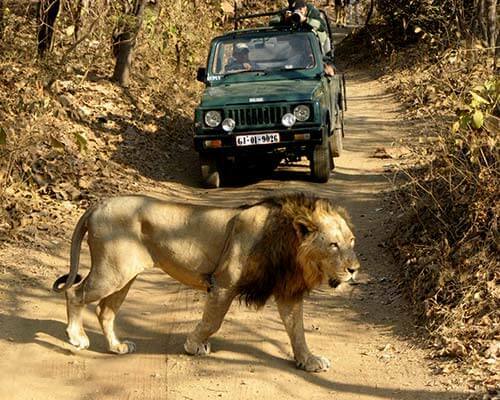 Suggested Read: Ahmedabad To Mumbai In Just 2 Hours: See What’s Making It Possible! Phew! 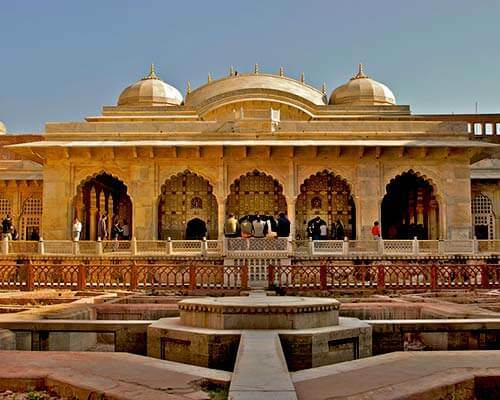 That’s a lot of places for shopping in Ahmedabad that would surely require some extra days on your Ahmedabad itinerary. 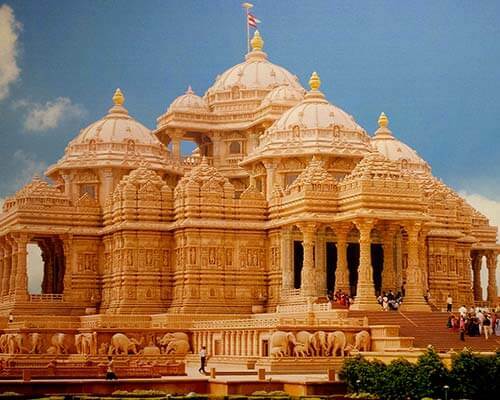 Book your Ahmedabad trip right away for a crazy shopping spree right away!